Macro demonstrates how to create an animation from configurations using SOLIDWORKS API. 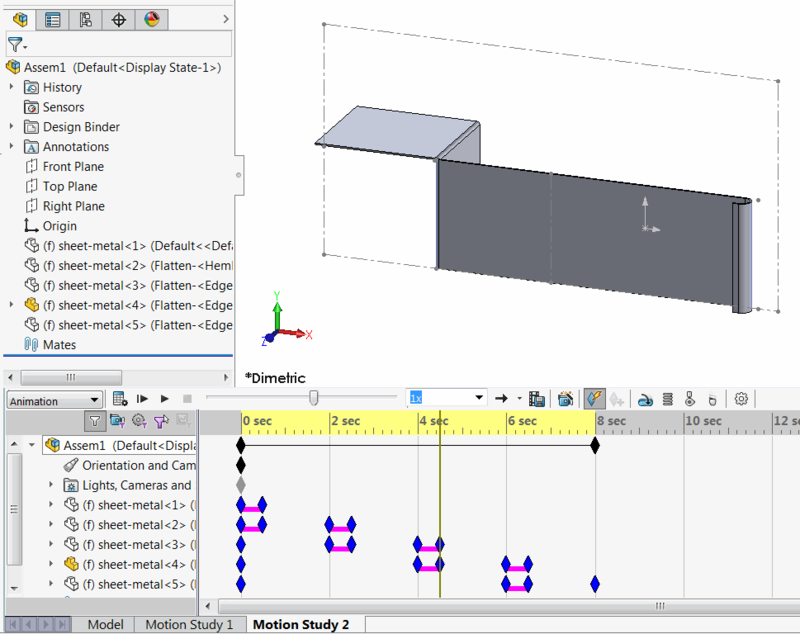 This could be useful when it is required to create an animation to represents model history or sheet metal folding. Run the macro. New assembly created with configurations set as animation steps. Refer the Suppress Features In New Configurations for a macro to create configurations from features. MsgBox "Failed to create new assembly"
Err.Raise vbObjectError, , "Assembly default template is not specified"